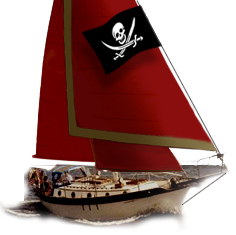 Westsail Owners Alliance - Thread: "Main Sail And Stay Sail - Used "
Thread: "Main Sail And Stay Sail - Used "
I have replaced the main and stay sail on Pygmalion WS32 #567 so the existing main and stay sail are for sale. Main has 2 reef points and 3 or 4 - 1/2 battens and is 10+ years old. Luff ~36' 6" and foot 15' 1". The lugs are designed for the internal LaFiel track. The staysail is usable with a small patch, hank on - foot is about 11' long and worked on a 11' 4" boom. Thinking $500 for the main and $50 for the stay sail. Jay, Are the sails still available? They would make good spares for my boat. Yes they and the sail covers are available. jay_bietz at sbcglobal dot net for direct contact as needed. The sails are now in a sale-pending status.